When Caravan premiered in 1976, Judith Jamison led the cast of 19 through Louis Falco's freewheeling choreography. 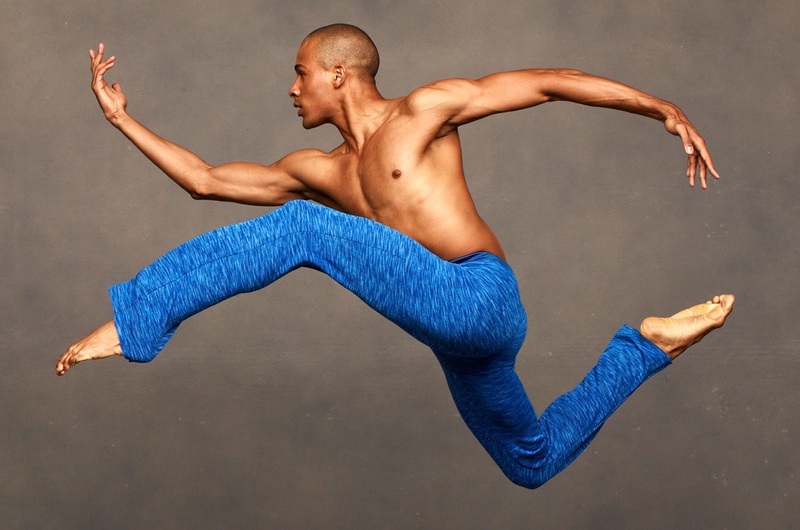 Now a new generation of Ailey dancers put their mark on this high-spirited work. Amidst a spectacular array of richly textured moving panels, scrims and curtains, they explode across the stage in animated bursts of vivacious dancing and frivolity. According to Masazumi Chaya, Ailey's Associate Artistic Director, that joyful, spirited mood is the essence of Caravan. "There are not a lot of difficult steps in it. There's no trick in it. So you have to be genuine and show how much fun it is to dance," he stresses. That's not to say that restaging such an ambitious and important work was not without its challenges. "The most difficult thing in restaging Caravan is that Louis Falco had a really specific style," explains Chaya. "No other choreographer does that style. How much we can transfer that, that was my challenge. Because our Company dancers now are so talented, they can do anything. But at the same time we really have to show what the original style was supposed to be. At the time Louis choreographed this ballet it was very unique. At that time the predominant style was more individual dancing. Caravan involves a great deal of contact among the dancers - one putting his weight on another, one moving back and taking the weight… The dancers had to get used to this style and the type of interaction between dancers that it requires. It's a different way of movement, but at the same time it's so much fun. It's really dancing together; it's not just dancing on the same stage, the dancers have to dance actually together, which is different. For us [in the original production] it took a little time to get used to everyone's different size, everyone's different way of moving, so it took a little longer than it did for us to learn other ballets. This is a 30 minute ballet; this group learned the whole thing in two weeks! I was very lucky to have this group. They had, I'm sure, their own issues - the style is different, all those things - but at the same time they really tried." Chaya recalls the original production of Caravan fondly. Asked what he remembers of his experience in the cast he exclaims, "I had a great time, but I didn't know the audience was going to react like they did. I mean screaming! I didn't expect that to happen. At the first performance, the curtain came down and I heard this unbelievable applause and then yelling and screaming from the audience; that was quite a surprise! And that was a consistent reaction every time. Every place we danced that ballet it was hugely successful. And the dancers got to like doing it more and more. In the beginning there was a little hesitation, because we didn't know how the audience was going to react. But their reaction was just tremendous." Chaya is hopeful that audiences will respond just as enthusiastically this time around, and that the power of the dancers' performance will work their magic. "When I look at this group, they just don't hold back," he praises. "They have such energy and beauty. And the generosity of these people works for this dance."